What may or may not be useful to Johnny as he flees is that he comes from an African-American family that has been gifted with super powers that are a bit, well, odd. Okay, very odd. For example, Johnny’s father could see colors no one else could see. His brother could scale perfectly flat walls. His cousin belches fire. And Johnny himself can make precise maps of any space you name, whether he’s been there or not. 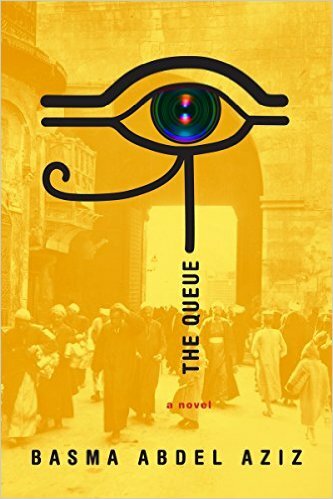 Set against the backdrop of a failed political uprising, The Queue is a chilling debut that evokes Orwellian dystopia, Kafkaesque surrealism, and a very real vision of life after the Arab Spring. In a surreal, but familiar, vision of modern day Egypt, a centralized authority known as �the Gate’ has risen to power in the aftermath of the �Disgraceful Events,’ a failed popular uprising. Citizens are required to obtain permission from the Gate in order to take care of even the most basic of their daily affairs, yet the Gate never opens, and the queue in front of it grows longer. 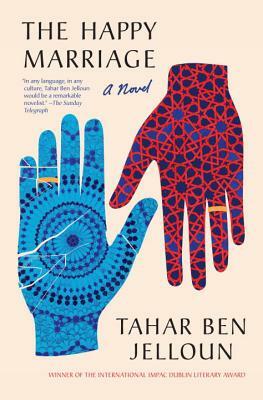 In The Happy Marriage, the internationally acclaimed Moroccan author Tahar Ben Jelloun tells the story of one couple—first from the husband’s point of view, then from the wife’s—just as legal reforms are about to change women’s rights forever. The husband, a painter in Casablanca, has been paralyzed by a stroke at the very height of his career and becomes convinced that his marriage is the sole reason for his decline. Walled up within his illness and desperate to break free of a deeply destructive relationship, he finds escape in writing a secret book about his hellish marriage. 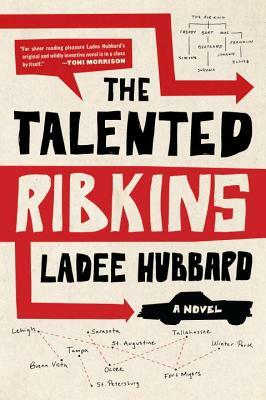 When his wife finds it, she responds point by point with her own version of the facts, offering her own striking and incisive reinterpretation of their story. Who is right and who is wrong? A thorny issue in a society where marriage remains a sacrosanct institution, but where there’s also a growing awareness of women’s rights. And in their absorbing struggle, both sides of this modern marriage find out they may not be so enlightened after all. Hailed by the�New York Times�as a "conjurer of literary magic," Nobel Prize-winning author Gabriel Garcia Marquez is known to millions of readers worldwide as the author of�One Hundred Years of Solitude.�Beloved by readers of nearly all ages, he is surely the most popular literary novelist in translation—and he remains so today, a decade after the publication of his final novel. In addition to the first-ever English translation of Marquez’s last interview, this unprecedented volume includes his first interview, conducted while he was in the throes of writing�One Hundred Years of Solitude,�which reveals the young writer years before the extraordinary onslaught of success that would make him a household name around the world. Also featured is a series of unusually wide-ranging conversations with Marquez’s friend Plinio Apuleyo Mendoza—surely the only interview with Marquez that includes the writer’s insights into both the meaning of true love and the validity of superstitions.�Gabriel Garcia Marquez: The Last Interview�also contains two interviews with Pulitzer Prize-winning�New York Times�reporter David Streitfeld. 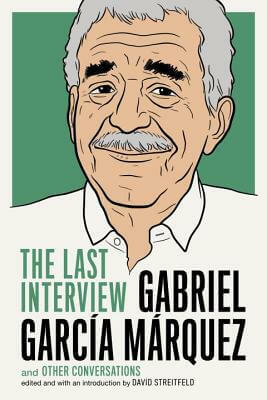 A wide-ranging and revealing book,�Gabriel Garcia Marquez: The Last Interview�is an essential book for lifelong fans of Marquez—and readers who are just getting encountering the master’s work for the first time. “I was not born to be what someone said I was. I was not born to be defined by someone else, but by myself, and myself only.” When, in the fall of 1987, the poet Quincy Troupe traveled to the south of France to interview James Baldwin, Baldwin’s brother David told him to ask Baldwin about everything—Baldwin was critically ill and David knew that this might be the writer�s last chance to speak at length about his life and work. 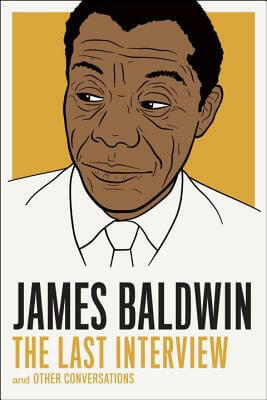 The result is one of the most eloquent and revelatory interviews of Baldwin�s career, a conversation that ranges widely over such topics as his childhood in Harlem, his close friendship with Miles Davis, his relationship with writers like Toni Morrison and Richard Wright, his years in France, and his ever-incisive thoughts on the history of race relations and the African-American experience.